You are in the middle of an exciting painting and OOPS you get a tear in the canvas! That is exactly what happened to me one day. I was really upset as it was a good painting! The tear was not in the middle of the canvas, but was at least an inch long. I didn't know what to do. 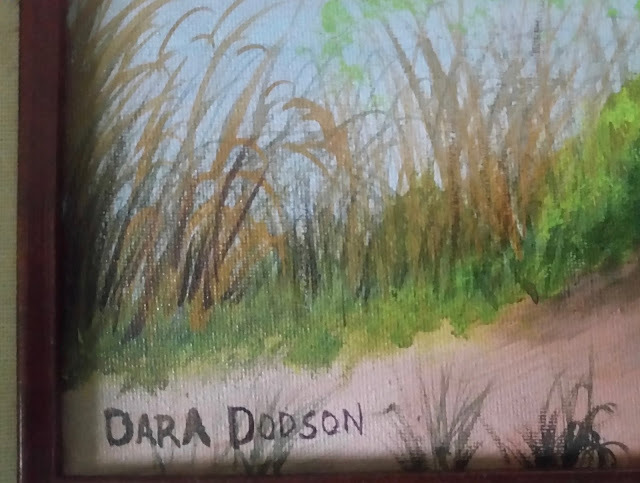 It just so happened that I was attending a workshop with a well-known artist. I happened to mention it to him and asked him if it could be repaired. He told me to bring it in and he'd teach me how to do it. It turned out to be an easy process, thank goodness! The nice part about this repair is that if it is done correctly, it is permanent! FIRST: Cut a piece of canvas that is larger than the hole (1/2" all around is good). You can purchase folded canvas, but it can be expensive. However, you may have an old stretched canvas you can cut up, or just purchase a cheaper stretched canvas to keep for just such a situation. The instructor said that sometimes there is extra canvas fabric on the back of your painting that can be cut off and used. I'm not sure that is the case anymore, but you can always check. 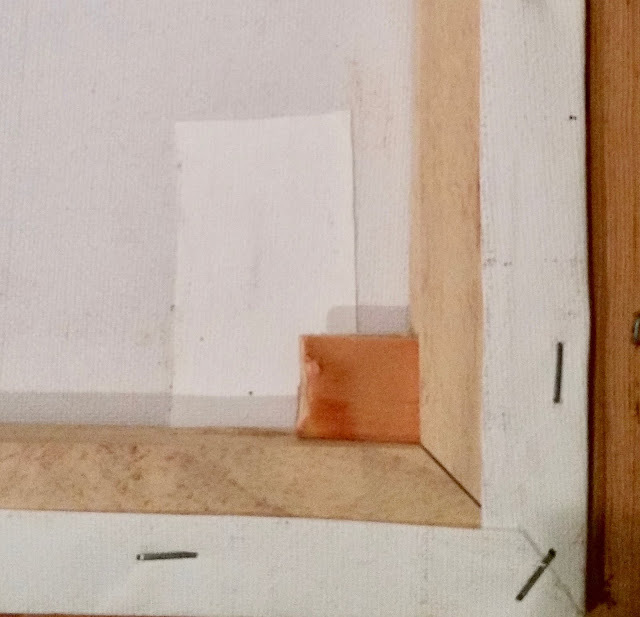 SECOND: Lay the torn canvas face down on a flat surface, then using Elmer's glue, apply a coat of glue to your repair piece of canvas and press it firmly over your tear on the BACK side of the torn canvas. Carefully wipe away excess glue, then place HEAVY items (books, etc) on the patch as a press until it is thoroughly dry. About a day is good for it to cure and be well pressed. THIRD: After thoroughly dry, turn over painting and check to see if any touch-up painting is necessary. In my case, something had fallen against the canvas tearing it, causing a jagged tear. But even so, when we turned it over, the tear was no longer even visible! I was thrilled to say the least. But the instructor seemed surprised, he said that normally some touch-up is necessary. I have since had to repair a second canvas. This one tore along the stretcher bar. I'm not sure what caused that tear, but I used the same technique of repair and it came out nicely. So now I don't panic when I see damage! I kept that first painting so I have a photo below of the patch for you to see. A patch will always be visible on the back, so don't assume otherwise. You must decide whether to disclose that patch to any prospective buyers. It shouldn't be a problem, but you never know. I have not sold either painting, instead I played it safe and decided they would be used as gifts. This is the back with the patch over the tear. As you can see, there is no sign of the tear on this repaired canvas. Even so, I decided not to sell the painting.